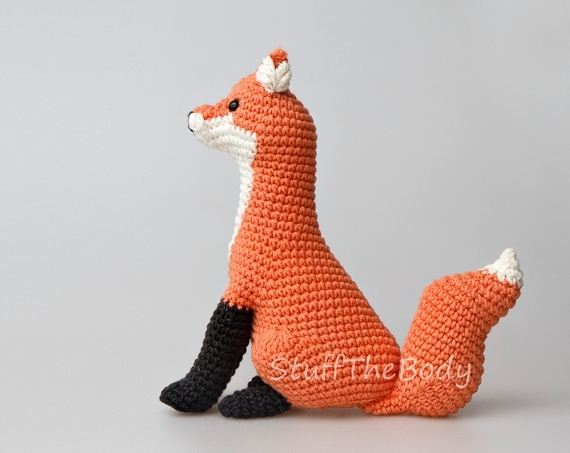 This amigurumi pattern took me a lot of time. 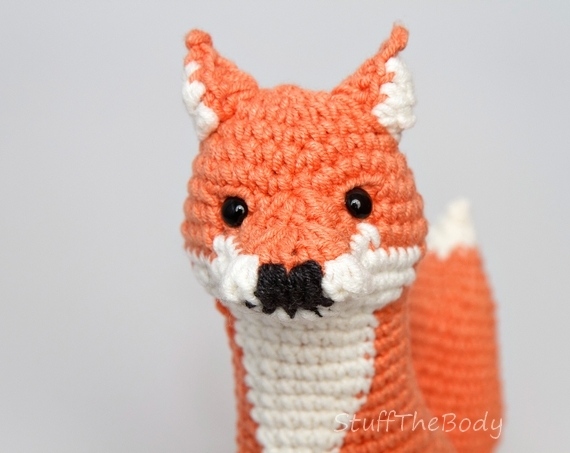 I wanted to make a crocheted horse that would match Barbie’s proportions but then I realized that it would have to be really big! So that final version is actually more a pony that a horse. 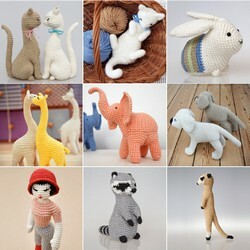 But you can always use thicker yarn and bigger hook to make a “real” horse for your doll. 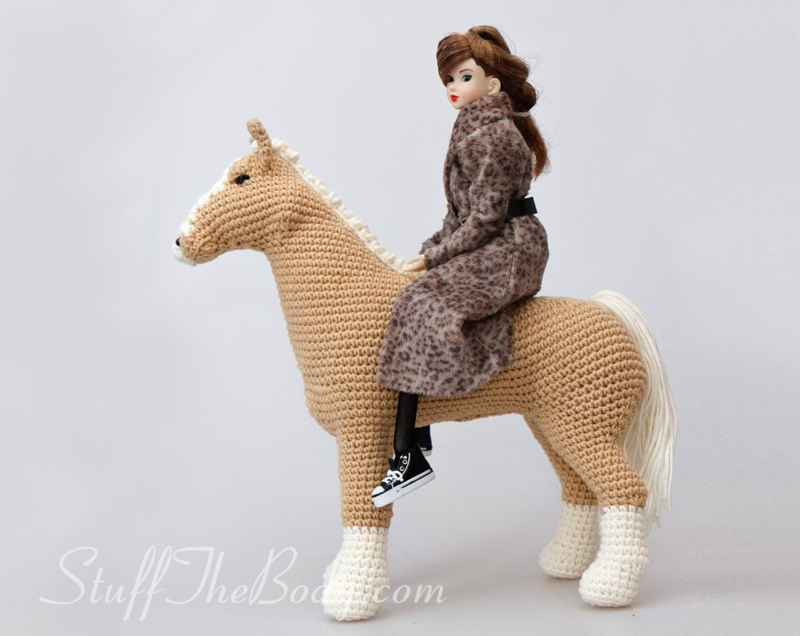 This amigurumi horse can be done almost seamlessly. Only ears and the mane need to be sewed to the body. 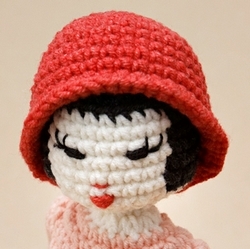 The pattern itself is a challenge even for experienced crafters (actually, it is challenging even for me) – you really need to focus if you want it to be pretty and symmetrical! The doll on pictures is Momoko – she is slightly shorter than a regular Barbie. 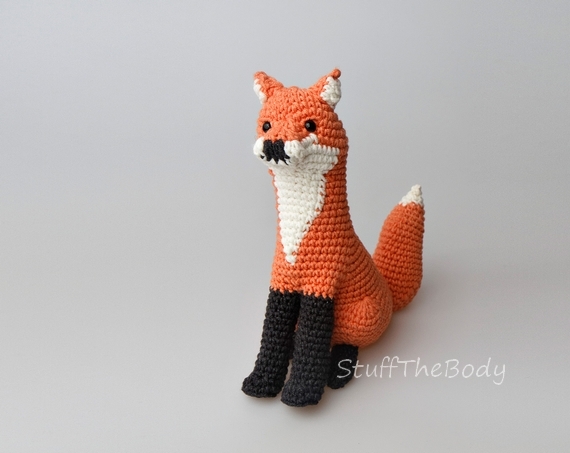 Do you have any treat for Malcolm, a very friendly amigurumi fox? 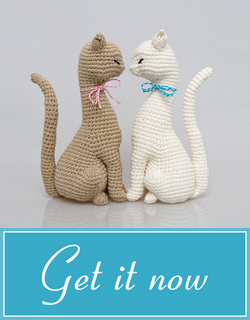 Malcom is again almost seamless – only tail has to be sewn to the body. 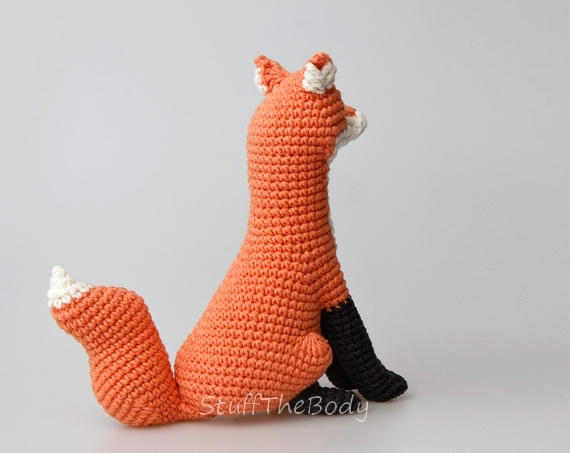 The shape is based on my Cat Princess pattern, I have changed the head and the tail and added some color.